GRANDEVO® is a biological insecticide/miticide containing fermentation solids of Chromobacterium subtsugae strain PRAA4-1T for use on edible crops against the pests listed in the Directions for Use section. 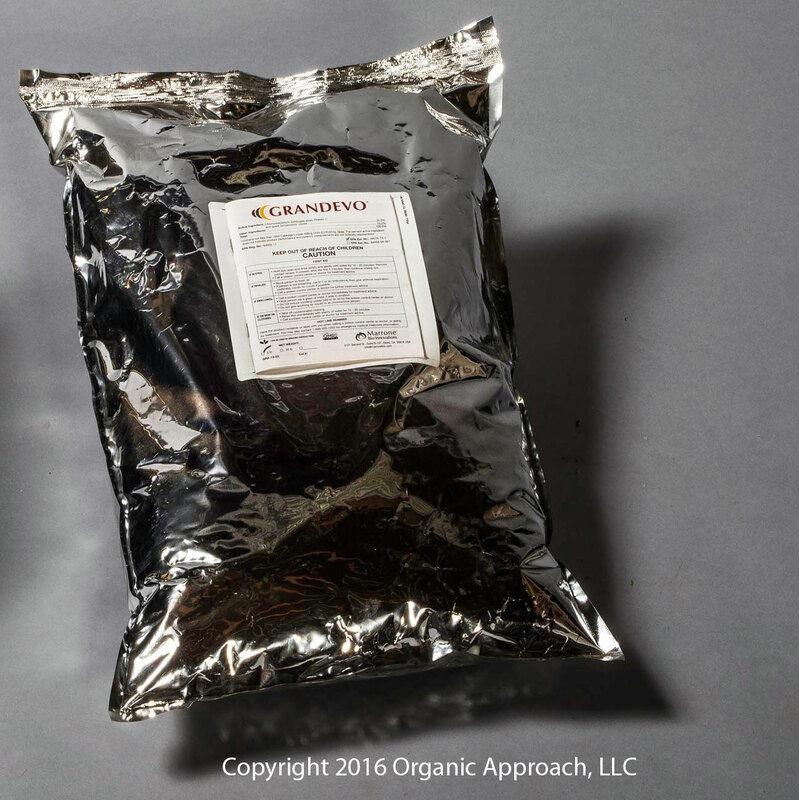 GRANDEVO® functions primarily as a stomach poison for use in the control or suppression of many foliar-feeding pests, including caterpillars, and certain coleopteran. GRANDEVO® has multiple effects, including reducing fecundity and oviposition, deterring feeding and acting as a stomach poison on Homoptera and Hemiptera, such as aphids, psyllids, whiteflies, Lygus and mealybugs, and on thrips and phytophagous mites infesting labeled crops or use sites. GRANDEVO® must be mixed with water and applied as a foliar spray with ground or aerial equipment equipped for conventional insecticide spraying or by chemigation.